Finally! A Media Outlet Writes An Accurate Story on Ontario’s Next Provincial Election! While the last provincial general election did occur on 12 June 2014, the provincial fixed-date election law does not schedule provincial general elections precisely four years apart. Instead, it uses the first Thursday in October as the baseline, irrespective of whether the previous general election followed the schedule, or whether the Premier advised the Lieutenant Governor to dissolve the previous legislature early. Section 9(2)(b) of the Election Act states that the next scheduled provincial election occurs in the October four years after the return of the previous writs, rather than four years to the month after the return of previous writs. The last provincial election occurred earlier than scheduled when Premier Wynne advised the Lieutenant Governor to dissolve the 40th Legislature early, in May. The Lieutenant Governor issued the writs on 7 May 2014 for a general election on 12 June 2014. This early election was originally scheduled for October 2015 and would have very inconveniently overlapped with the federal general election. 9(1)Nothing in this section affects the powers of the Lieutenant Governor, including the power to dissolve the Legislature, by proclamation in Her Majesty’s name, when the Lieutenant Governor sees fit. 2005, c. 35, s. 1 (3). (b) thereafter, general elections shall be held on the first Thursday in October in the fourth calendar year following polling day in the most recent general election. 2005, c. 35, s. 1 (3). This 41st Legislature is therefore scheduled to live for 4.5 years rather than 4 and to be dissolved in October 2018, not June 2018– though nothing prevents Premier Wynne from advising and receiving an early dissolution in this instance as well. This same feature of the federal fixed-date election law explains why the 41st Parliament also lasted closer to 4.5 years rather than 4, with general elections in May 2011 but October 2015. 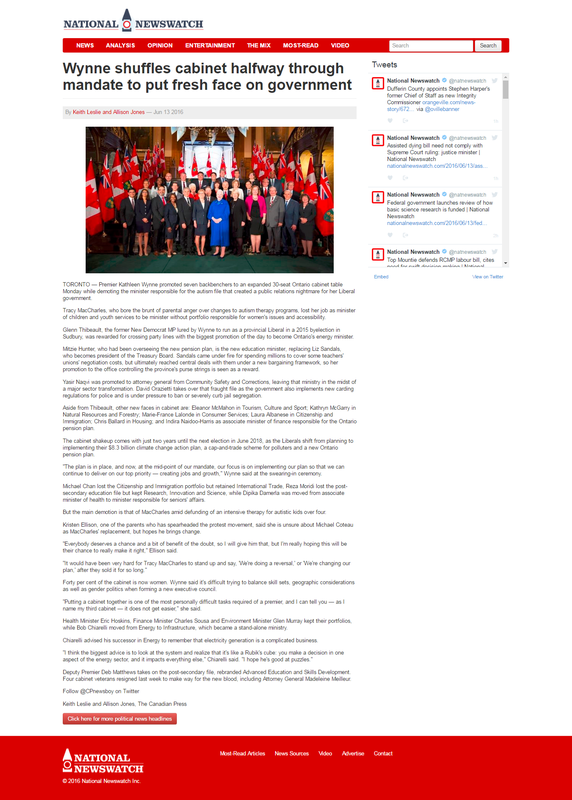 The Canadian Press’s mistake reflects how ingrained four-year parliaments have become in the political class. But if anything, the fixed-date election laws really ought to stipulate that the next scheduled general election would occur in the same month as the previous in order to prevent some legislatures from living for 4.5 years rather than 4. While the Wynne government indicated on 4 June 2016 that it supports the Chief Electoral Officer’s recommendation to move the date from fall to spring, the legislature has not yet amended the Election Act accordingly. 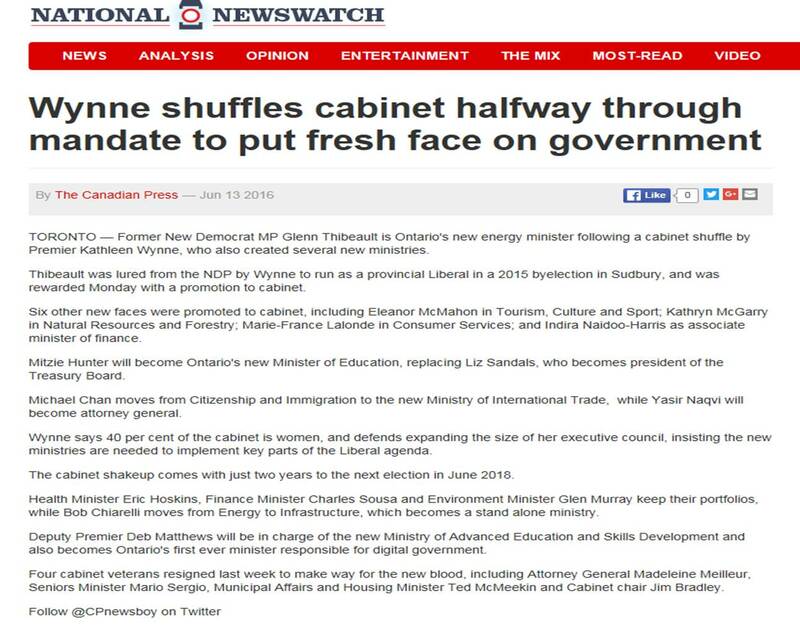 (The Chief Electoral Officer of Ontario recommended a date in early June). Until such a bill receives Royal Assent, the next provincial general election remains scheduled for October 2018 rather than for June 2018. Let us not pre-empt the legislative process so eagerly here! Do Journalists Who Cover Ontario Politics Know When the Next Provincial General Election Is Scheduled? This entry was posted in Crown (Powers and Office), Dissolution, Fixed-Date Elections, Reform. Bookmark the permalink. If an election is not held earlier, would the Legislative Assembly (or any parliament for that matter) dissolve automatically for the scheduled election? If it didn’t, what would happen if no action was taken in time for the scheduled election? You raised a very interesting point about something called dissolution by efflux of time, and I might devote a blog entry to the question, too. A normal dissolution and call for fresh elections is achieved through three sets of executive instruments in Canada (at the federal level and in the provinces): 1. advice to dissolve the current parliament; 2. advice to issue writs of election; 3. pro forma advice to summon the next parliament or legislature 40 days after election day. I believe that dissolution by efflux of time would only account for the first of those three. Under English Common Law, parliament could be dissolved through efflux of time — when the clock runs out on its maximum lifespan. As far as I can tell, there has never been a dissolution by efflux of time of the Parliament of Canada; I’m not sure if it has ever happened in the provinces. A dissolution by efflux of time means that the prime minister would not have to provide any advice to the Sovereign or Governor; instead, parliament would dissolve in accordance with the statute itself and the maximum lifespan that it established. That said, the prime minister and cabinet would still need to issue advice for the return of writs and the pro forma summoning of the next parliament. In my view, the various federal and provincial fixed-date election laws do not meet the standard for dissolution by efflux of time, because none of them purport to amend the Constitution Acts, which establish that the maximum lifespan of a federal parliament or provincial legislature is five years. So the dissolution by efflux of time would apply not to the timelines set out in the fixed-date election statutes; instead, dissolution by efflux of time would apply in Canada to the five-year limit set out in the Constitution Acts. That said, I see a subtle distinction here, too. Even though the fixed-date election laws do not meet the threshold of dissolution by efflux of time, they probably still require that the prime minister or premier tender advice to the governor general or lieutenant governor to issue the proclamation dissolving the parliament or legislature on the date prescribed in the act. The thing is, I cannot say with absolute certainty that my interpretation is correct because neither of these situations has occurred in practice! We haven’t gone through a dissolution by efflux of time, and we haven’t gone through a situation where a first minister tries to advice a late dissolution relative to a fixed-date election law. (We have, of course, seen early dissolutions with fixed-date election laws, however). In the absence of any direct precedents, I base my view on the principles underpinning the laws, which guide what precedent probably should be made if either of these situations ever did arise. I hope that this answers your question. Thanks for making me think about this issue more in depth, too!